· The photos are roughly divided by ten different albums. · The photos can be found best with Search –handle (in finnish = haku), which is located in the right side of the highest menu line. 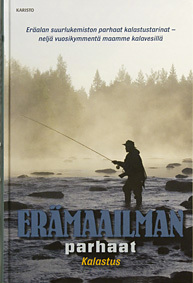 · The photos can be found with finnish, partly with scientific words, and also with entries and word parts. · The search will get more exact by using many entries, making space between the words (for example tetrao urogallus talvi). · By clicking the photo it will get bigger and there will be information about the photo. The entries under the photos are links to the new sugjects. · The interesting photos can be made as collections by clicking My Favorites –handle. The orderer gets photos by informing the photo number by mail to: kuvapankki@hannuhuttu.com or calling +358405317064. The ordered photos will be send by mail in RGB-colours and JPG-packed, with the size prearranged.